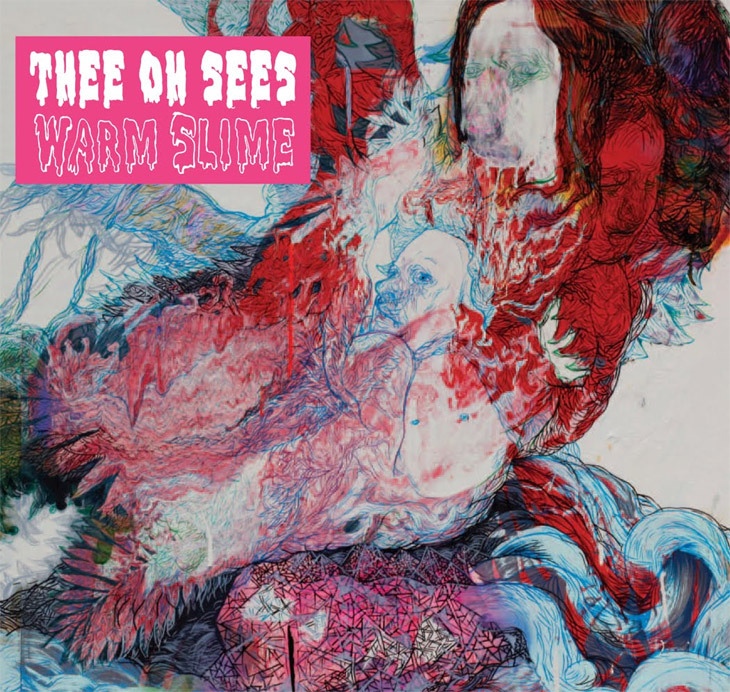 Warm Slime is the latest nugget of psychedelic garage sludge from the Bay Area’s Thee Oh Sees. For years, this quartet of tripsters have been alchemically fusing ’60s pop, dirty Detroit-style rock, and homegrown Bay Area psych into a veritable witches’ brew of tunes. Their sound is a cross between Captain Beefheart’s early blues-infected fuzz-spazz and Vanilla Fudge being played by jackhammers. Warm Slime continues the ruckus, charging fearlessly into musical ground so filthy that even BP couldn’t muck it up. The first track, “Warm Slime,” is also the longest, a dark pulsar beating with the heat and intensity of a heart ripped straight from the chest. The rest of the album chugs along non-stop — even the occasional, “We’re Thee Oh Sees” and, “1, 2, 3, 4,” offer no respite from this sonic miasma. Warm Slime is a fiery beast of an album that is best appreciated under extreme stress and around complete strangers. It’s loud, gritty, sticky, uncomfortable rock and drool at its best.